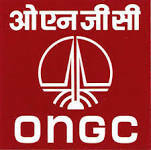 Oil and natural Gas Corporation are inviting applications for the various Class III posts at A1 Level for posting at OVL, Delhi. Posts that are vacancy for this are Jr.Assistant (Steno-English), Jr. Assistant (P&A), Jr. Assistant (Accounts). Graduate with Typing speed 30 w.p.m and shorthand at 80 w.p.m Certificate /Diploma of minimum duration of six months in Computer Applications in the office environment. Computer Applications in the office environment. Minimum age 18 years and maximum age for GEN 30 years and for OBC 33Years.